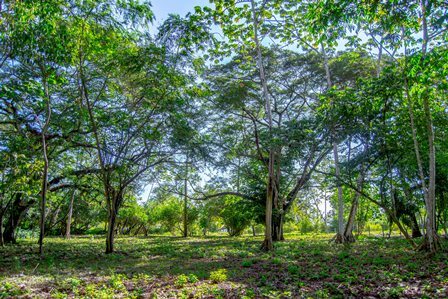 The second of five contiguous lots totaling 4 ha, two sold this year, leaving this stunning lot and two others from the original tract. 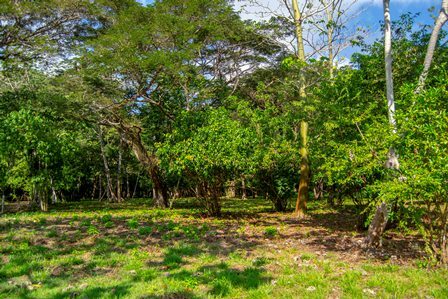 With 6500 square meters in total, this lot has a portion that is fully titled and another portion that is zoned under Natural Patrimony. 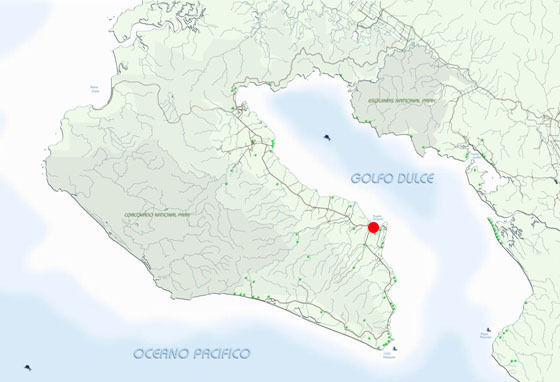 We have a fully valid use permit concession from MINAET for the maritime portion, plus a corporation, and of course the titled portion as well. 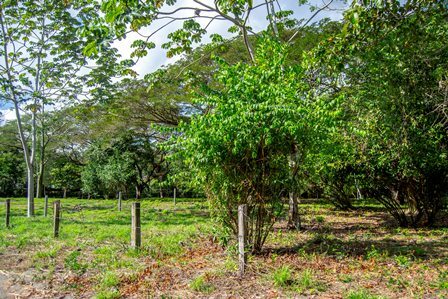 Buy any combination of the three remaining lots for $35 per square meter while that price lasts. 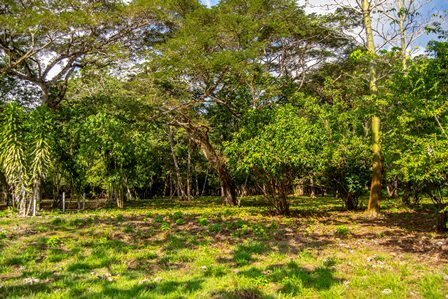 Located less than 1 km from the public power grid, the property is accessed year round by public road and has ground water easily tapped by shallow wells. 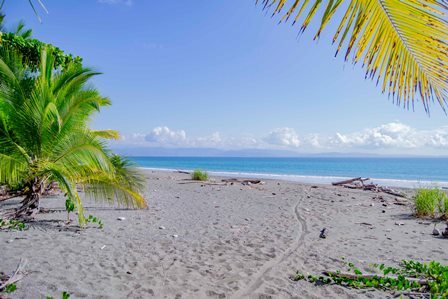 This lot is ideal for a private beachfront residence or for commercial ecolodge development. 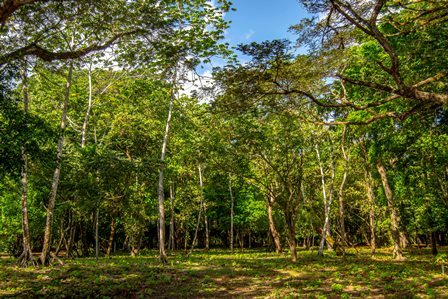 The property is located in a spit of land between the Platanares River and the Golfo Dulce with private reserve inland from the properties. These properties are all current and fully developable along either commercial or private-residential scales. 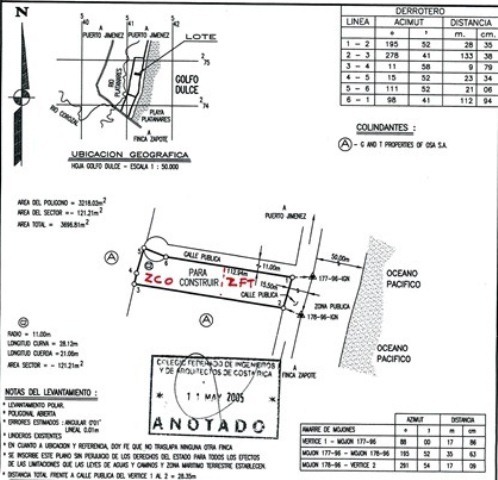 Since they are all contiguous and none of them share distinctive characteristics beyond the differences in size, this same description is used for the three listings that remain on the market, 2012019, 2012021, and 2012022. Write or call today for more information or to schedule your showing.